Décoré avec goût Resort à Goose Rocks condo! Piscine intérieure / extérieure! Belle unité décorative, lumineuse et ensoleillée au 2e étage, condo de 2 chambres à coucher. Moins d'un mile à Goose Rocks Beach! Chambre des maîtres avec lit queen size. La deuxième chambre a des lits superposés avec une couchette double fond (3 couchages). Laveuse, sécheuse et lave-vaisselle, câble et internet dans l'unité! Équipements de villégiature incluent clubhouse avec câble, WIFI, cuisine, piscine intérieure avec bain à remous et piscine pour enfants, salle de ping-pong, billard, salle de fitness, piscine extérieure avec pataugeoire, court de tennis, basket et terrain de volley-ball. Marcher à travers le chemin au restaurant d'à côté et la crème glacée. Draps, serviettes, 4 chaises de plage, jouets de plage et articles de sport fournis. Passes pour la plage sont disponibles au magasin général sur la route. Our family of four had a fantastic stay! The accommodations are exactly as described and perfect for a family with little ones. We spent quite a bit of time in the indoor and outdoor pools, as well as the climbing frame and swings. The location is great. A short walk to ice cream shop, a short drive to the beach, and a about 15 minutes away from downtown Kennebunkport and the town beach. Would definitely stay here again and highly recommend it! I’m so glad you enjoyed your stay! Your family was a pleasure to have and we hope you consider us for any future stays. We returned this year and found everything was still perfect. The condo has been thoughtfully laid out and nicely decorated which allows you to easily settle into vacation mode. Everything you need is there- even beach towels and chairs- which is really helpful as we fly up for our vacation. Meghan has been consistently great to work with and super responsive. After 3 years of going to GRB we are pretty sure it is the perfect destination for our family for many years to come! As soon as we opened its front door, we were immediately impressed by how tastefully decorated the condo is. Each room has a beach- themed warm hue with well-coordinated furnishing. The place isn't big, but the owner has thoughtfully put all the necessities in the right place that our family of five never felt cramped. The bunk beds were a huge hit with the kids while my husband and I enjoyed the convinence of having a seperate bathroom and a well-equipped kitchen which allowed us to prepare several breakfast. The owner has left meticulous instructions on how to maintain the condo which we were more than happy to oblige, such as rinsing sandy feet in the bucket on the porch before entering the house. I actually found them to be helpful and appreciated how detail-oriented the owners were. The owner was also very prompt in her response since my first inquiry until our check-out. The condo is a corner unit and we never found noise from the neighbors to be an issue. It is part of a complex that has indoor and outdoor pools, both with kiddie pools. The pools had proven to be the main attraction with our children, particularly on cloudy days. The gym is rather bare. I ran on the treadmill a few times and was afraid it would stop unexpectedly as it shook quite hard. Fortunately, it did not. The condo is located less than a mile away from the beach, but it is not walkable, which the owner did inform me candidly when I asked. The two roads leading to the beach do not have sidewalks and cars can go fast. That would have made this condo absolutely perfect! But once at the beach, one will be taken back by its soft sand, mild waves and cool breezes. The few times we were there, it was never crowded, making it a relaxing experience. It's ideal for walking or running, and collecting sea shells at low tide. We had a lovely family vacation here and adored the well-appointed condo that we called home for a week! 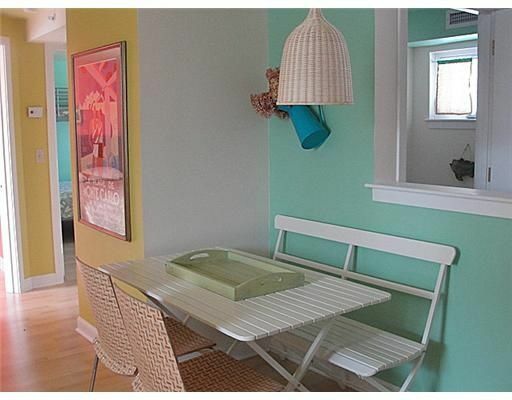 This condo was the perfect selection for three women exploring the coast of Maine. Such a peaceful, safe area, close to beach, yet easy drive to several charming towns. We had everything we needed to prepare meals in, or there were several dining choices nearby. The owner was easy to reach, thoughtful and kind with communication and with management of her condo. Thanks for sharing your lovely place with us. We can't wait to visit this part of Maine again. We have been to Maine every summer for the past 6 years. We have three kids under the age of 6 and always need to stay in a place with a pool. We usually stay in a hotel or rent a house. This was our first time renting a condo and it was definitely the best situation for our family. It was very clean and so well kept that we felt very much at home. The community club house was perfect for our kids. Although they loved the nearby beach, they also wanted to swim in the pool every day. Meghan, the owner, was very helpful and informative. She even checked in with us to make sure we had arrived and wanted to know if we had any questions about the area. There is so much to do in Kennebunkport and the surrounding areas (great food, a gorgeous beach, beautiful sights, fun shopping, etc.). We are already planning to stay here again next summer. This place is adorable and had everything/anything we needed already there for us! Clean, beautifully decorated. Love the location and can't wait to come back again soon! Goose Rocks Superbe Beach est à moins d'un mile away! Prenez des cours de surf à Kennebunk Beach! Grands marchés aux puces locaux et magasins d'antiquités. Downtown possède beaucoup de belles boutiques et de restaurants. Port gratuit à proximité et Kittery Outlets pour un jour de pluie; ville de Portland et Zoo York. 100% refund if cancelled 60 days before check-in date.